We acquired several new board games over the course of 2017, many at Christmas (we open board games early, once everyone starts their holiday vacation, so we have more time to play them together). A few were gifts from friends (thanks, friends! ), a few were gifts from each other, and a few we just bought. All in all, we ended up with 15 new games. Here's what we got and my thoughts on the ones we've played so far. This game was one we got for Christmas, so we've only had it for a few days. 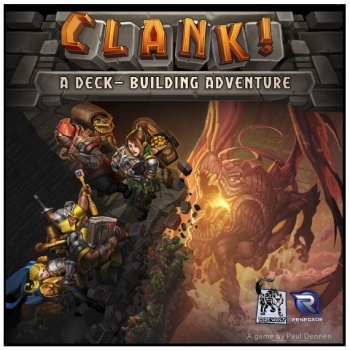 Clank takes your basic lightweight deck builder and adds an interesting push your luck component by using that deck to explore a dungeon on a game board, in pursuit of treasure. The deeper into the dungeon you go, the better the treasure, but the harder it is to get out alive. We've played it a few times now and it's light and fun and adds an interesting twist to the standard deck building game. This is a cooperative game that I really enjoyed a lot, though it did start to feel a little long for what you get out of it. 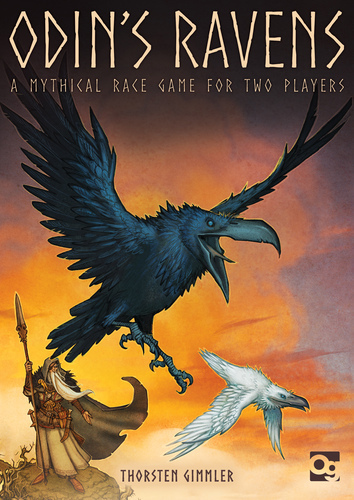 In this game players work together to try and close portals, defeat monsters, and banish ancient ones by traveling around the world exploring, casting spells, and fighting. As the name suggests, the game is based on the works of H.P. 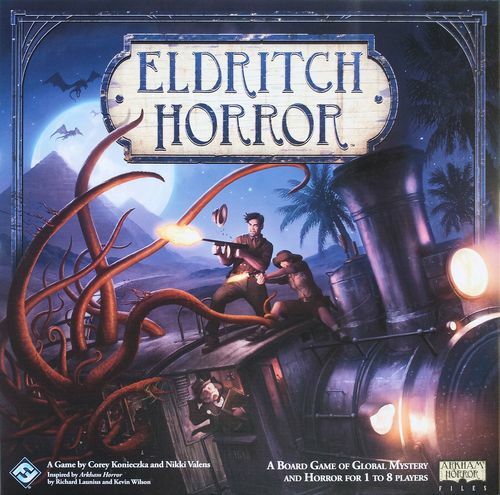 Lovecraft and it's loaded with theme, from the artwork (which is very good) to the text, to the spells, items, and effects. This game is very well producted and plays very well. I just wish it was a bit shorter. This game is pretty much exactly what you would expect from the title. The creators have taken the popular "escape room" experience and shoved it into a box. In that box, you get four "rooms" to solve at varying degrees of difficulty. 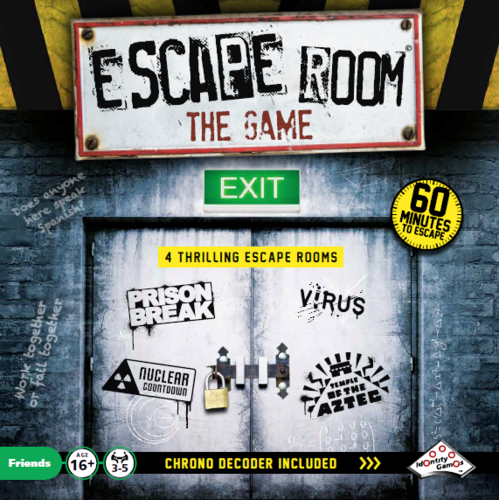 Each room has three stages, with several puzzles and riddles to solve within each stage. Solving these problems allows you to find a code that corresponds to physical keys you use to unlock the next stage via inserting them into the included timer device. It's a fun group activity (probably best suited for 3-4 people) with just the right amount of difficulty, and you will definitely need to work together. You obviously don't get any replay value out of the game at all, but for the cost ($30) you get four hours of puzzle-filled, mystery-solving entertainment. There are also expansions available that offer more puzzles, for about $10 each. 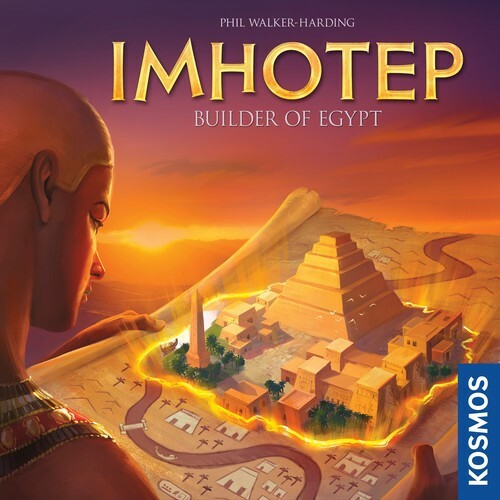 Build pyramids, obolisks, and tombs to score victory points - an interesting worker placement game with a fairly unique combination of strategy and luck, since your resources can often be placed by other plahers. I can see how this could turn some people off to the game, but I find that it makes for some interesting challenges, because you have to be willing to adapt and find creative ways to score points when the thing you wanted to happen didn't happen and you suddenly find your cubes somewhere else entirely. Another Christmas gift, so far we've only played it with two people and I suspect playing with three or four will greatly change the dynamics and tactics. Rich got me this game for my birthday. It's a two-player race game where you can acquire special cards that basically either aid you or mess up your opponant's path to victory. There is nothing mind-blowing about the game, but it is a solid and fun two-player game that doesn't take too long to play. We liked this so much we bought two decks (seriously). 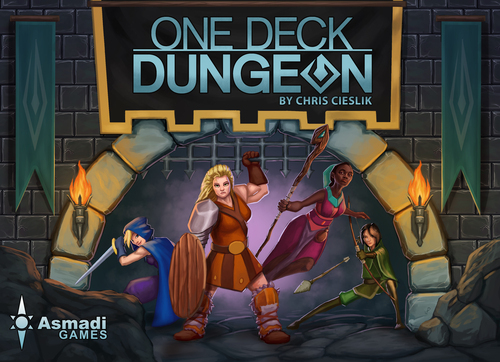 1DD is a dungeon-crawling dice game where you work your way through the deck of cards, defeating monsters and traps as you go. Your character levels up as you progress through the deck, giving you more abilities. Defeating monster and trap cards gives you the option of obtaining their abilities, or using them as XP to further improve your character. It's a lot of fun and plays fairly quickly. This was my consolation prize while I was waiting for Terraforming Mars to come back into print. 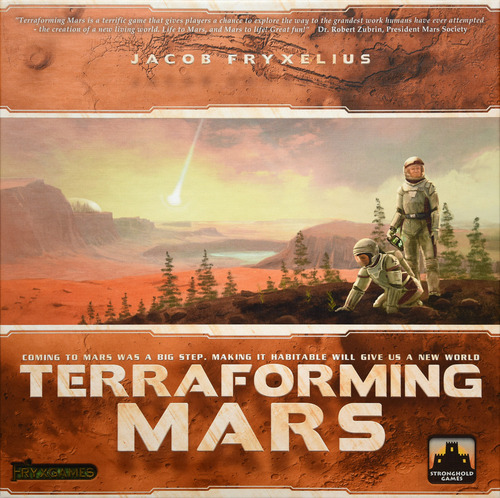 I'd heard it was a good game and I was itching for a good Mars game. The two games are, however, very different. 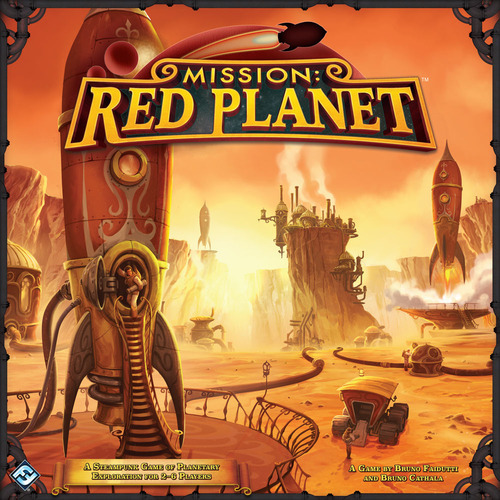 Mission Red Planet is lightweight, steam punk area control game with a little humor thrown in, by two designers whose games I generally like (Bruno Cathala and Bruno Faidutti). This is probably my daughter's favorite board game we've added to our collection this year. 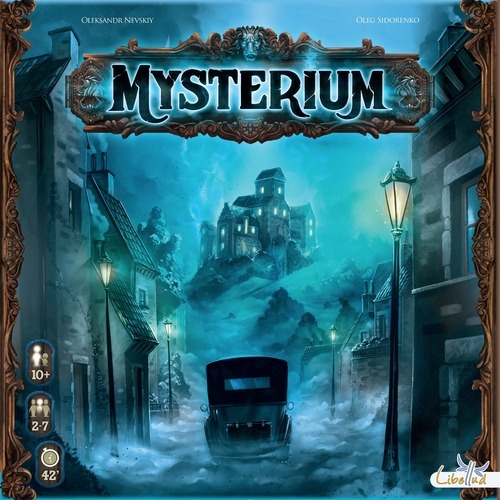 Mysterium is Clue on steroids, where you're giving ghostly "vision" cards by a spirit from beyond the grave and must then use them to deduce by whom, where, and with what item the poor ghost was murdered. It's a lot of fun, both playing as the investigator, and the ghost, but it can also be infuriating! This is another Christmas game, and we're actually only a few games into it, but already, the game is great. 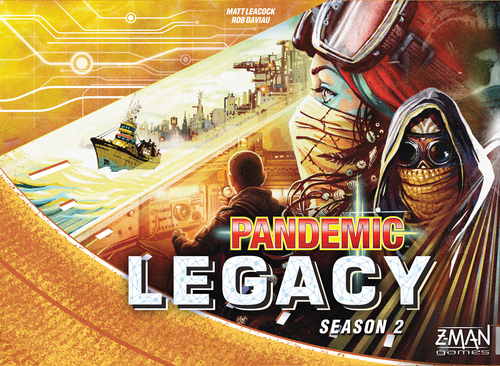 Playing Pandemic Legacy Season 1 last Christmas was one of our highlights of the holiday season, so we picked this up as a family gift and were super eager to dive into season 2. The dynamics are different and even feel a bit inverted, so to speak, while still keeping the familiar Pandemic feel. Already, the sense of urgency and danger is greather than it was in the beginning of season 1. The story so far has been excellent. I'm eager to see where this game takes us. 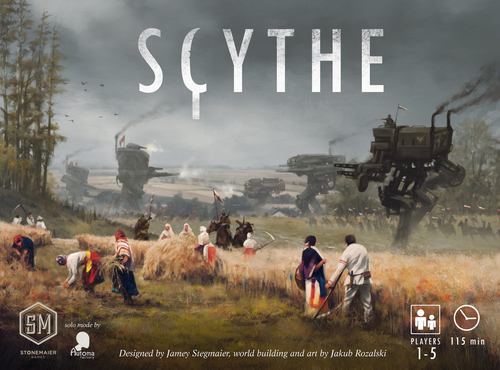 The final Christmas game, Scythe wasn't actually on my wish list, even though I've wanted it, so good job finding this one, Rich. We've only played through the game once so far, but it seems like a fun game. The learning curve wasn't nearly as steep as I'd expected it to be. There's a ton of depth to the game in terms of strategy and tactics, but the actions you perform and the things you're trying to accomplish are simple. This is one of those area control games you can pick up easily and then really melt your brain playing (with the right opponents). Also, the game itself is gorgeous. The artwork and the quality of the components is off the charts. 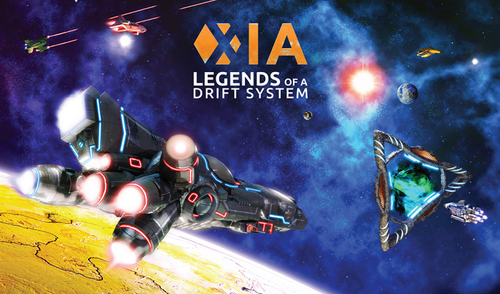 This is a racing game we picked up in the early fall after hearing good reviews. It felt a bit chaotic at first due to the simultaneous action mechanism, but once we'd done a few rounds and all got the hang of it, things started working smoothly and the momentum quickly built. I really enjoy engine building games and once this one gets rolling, it really does feel like a race. Mission Red Planet held me over, but as soon as this came back into print and could be had for $53 instead of $100+, I jumped on it. I'd wanted this game since I'd first heard it was going to be a thing, but somehow missed the first print run. 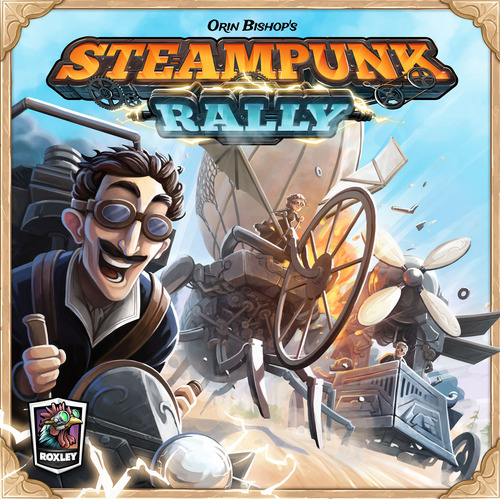 It's a heavier game (many of the games we got this year are heavier games) that combines a few mechanisms (card drafting, hand management, tableau building, tile placement, asymmetrical abilities) into a very fun game with a theme that really appeals to me and doesn't feel pasted on. This gift from my favorite podcasting co-host (thanks JS!) is squeaking in juuuust under the buzzer. It was delivered on New Year's Eve, on a Sunday, by the post office. Weird. 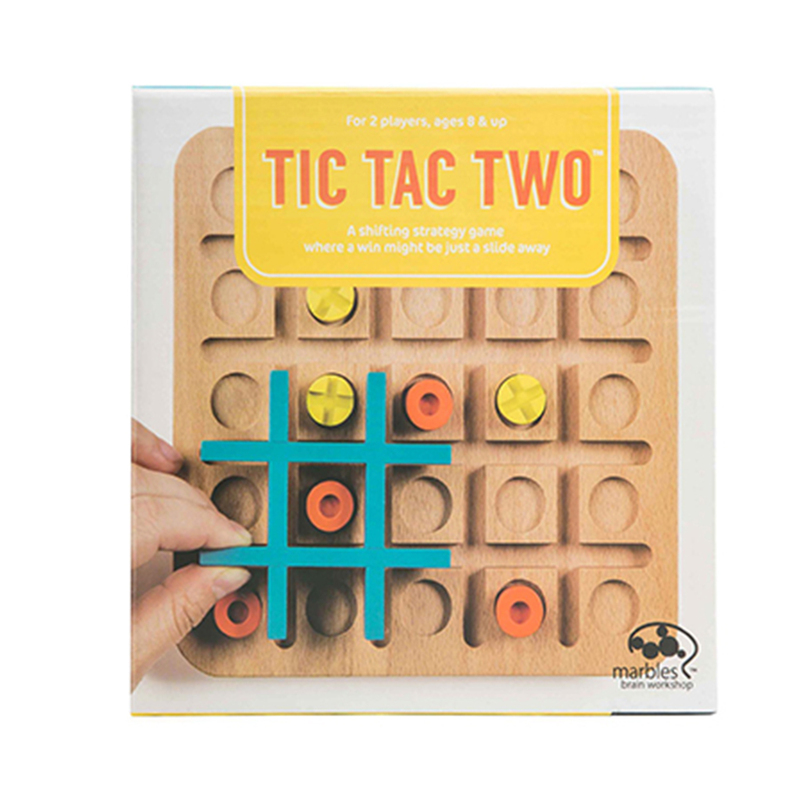 This is a quick filler game with really nice wooden components that adds a bit of a strategic twist to the traditional tic-tac-toe game, thus actually making it fun. It took a couple of plays to really understand the depth the game can have. It's a very lightweight game, but there's more to it than meets the eye at first. Games like this are good to pull out when you're just sitting around talking, or when you're waiting on someone before diving into the next big game. We usually end up throwing in at least one or two fillers in every game night, so I'm sure this will hit the table soon. Rich received this as a birthday gift from good friends. It's like the original Tsuro (which we also own), but has a random component in that a sea monster is attacking you as your navigate your boat across the water tiles. While there are a lot of similarities to original Tsuro, it's almost unfair to compare them, because the sea monster changes the game so much. I find it equally enjoyable and feel like it probably does add to the replayability, but I can see how some people could be turned off by the randomness of the sea monster tiles. 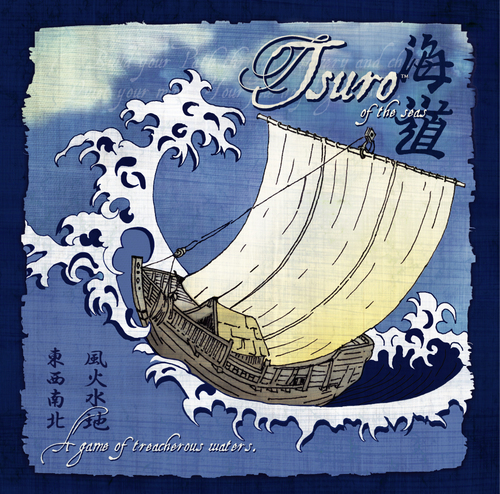 The original Tsuro is an almost zen-like experience, whereas Tsuro of the Seas is a more chaotic and dangerous adventure. I bought this game back over the summer and actually haven't played it yet. That's really rare for me. Usually, new games get played within a day or two of being purchased. However, as much as I wanted this game for its components and all of the things it promised to deliver, once I actually got it and started looking at it, I grew skeptical. First of all, I'm not sure I can see well enough to actually play the game effectively. Second, I'm not sure that the other folks in our game group would enjoy the games sandbox nature, particularly given the time investment it will require. I still want to give it a try, though, so hopefully we can do that on New Year's Eve.